Home > How Long Do Settlements Take? If you’ve been injured in a slip, trip and fall accident, a hugely popular question our slip and fall law firm gets is, “How long will my case take?” Since each case is unique, the answer will vary. If you are ready to move quickly on your case, call the Law Offices of David Azizi at (800) 991-5292 to set up a free, no-obligation case review. We will listen to your story and provide additional answers to your legal questions. Spills can cause severe injuries in a slip and fall accident. What Factors Determine How Long Slip and Fall Cases Take? The goal of a slip and fall law firm should always be to end the case with the strongest outcome for the injured clients in the shortest amount of time possible. A slip and fall settlement accomplishes this goal when opposing parties agree to negotiated terms and obligations, including compensation, to officially close the dispute and end the case. When negotiations cannot achieve the desired outcome, the case proceeds toward trial by a judge and/or jury. How long does that whole process take? It always varies with new people and each new case. In order to restore justice after a slip and fall accident, a lawyer must establish and reasonably prove who is responsible or “liable” for your injuries. The most common approach in slip and fall personal injury law involves determining that the defendant acted negligently and therefore caused your injuries. Once you show the basics of how a person or business is legally answerable for your slip and fall injuries, you’ll need the defendant to agree with your assessment of the evidence and admit liability. If this can be done, you move on to the issue of damages. If the defendant does not admit liability, time for further investigation and collection of evidence will normally be required. If the defendant does admit liability, it’s easy to think, “Great, this case is a slam dunk.” But the goal is the strongest outcome for the injured client, and that typically translates into collecting sufficient money damages. Damages can be thought of as the payments required for righting a wrong in the eyes of the law when harm has been done to someone. Sometimes the defendant will admit liability, yes, they are at fault, but then there will be a dispute of the damages that should be awarded to the plaintiff. If that’s the case, you will have a delay in settlement and a longer process as you move through a slip and fall lawsuit and litigation. Join Los Angeles slip and fall lawyer David Azizi as he discusses the factors involved in determining how long cases take to reach a settlement or decision by jury or judge. Play the audio episode directly below. How much medical care will you will need? Will it be on an ongoing basis? How long will it all take? Ongoing efforts with doctors, insurance policies and experts who determine common recovery timelines all play a part. You might require surgery, and that surgery might require a follow up surgery or further hospitalization before accurate costs can be assessed. The defendants may dispute certain treatments and refuse to pay out. These all can affect the timeline of a slip and fall case. With greater money damages on the line for a defendant comes a greater possibility of resistance to settle and pay. If the injuries are substantial and you’ve lost the ability to work, the value of the case increases because it takes more money to restore your justice. This may cause a defendant to stall and take the risk of denying a settlement agreement in order to go to trial in a courtroom where a judge and/or jury will make the final decision. Those choices extend timelines and increase the costs involved for all parties, which will be factored into the final award of money damages. This is another reason why connecting with a slip and fall attorney who works on contingency — no payment unless you win — becomes financially essential to injured victims. You can begin to research the possible value of a case using a slip and fall settlement calculator. The specific demands you make for money damages or other measures of justice will factor into how the settlement negotiations move forward or get stalled. This is a calculation best made with the knowledge and experience of a slip and fall lawyer. If you had a slip and fall injury to your spine, for example, the defense will want to have a full picture of you and your personal medical history. If you have a pristine perfect spine, with no prior history of accidents or incidents of a compromising nature to your back or spine, then your case will often be a little bit easier to negotiate with the defense, and a settlement agreement could be met very quickly. In another scenario, perhaps you had a prior accident or maybe a sports injury where you previously received physical therapy for prior neck or back pain. The defense will likely say that the accident they were involved in did not cause the full extent of your current injuries because you already had neck and back pain before the slip and fall incident. This is not an insurmountable claim, but it will require a shift in strategy and extended involvement in the case. Important matters like restoring justice often involve a court battle. If you are dealing with defendants that will not agree to settlement, then your case will need to be added to the calendar of the courts. 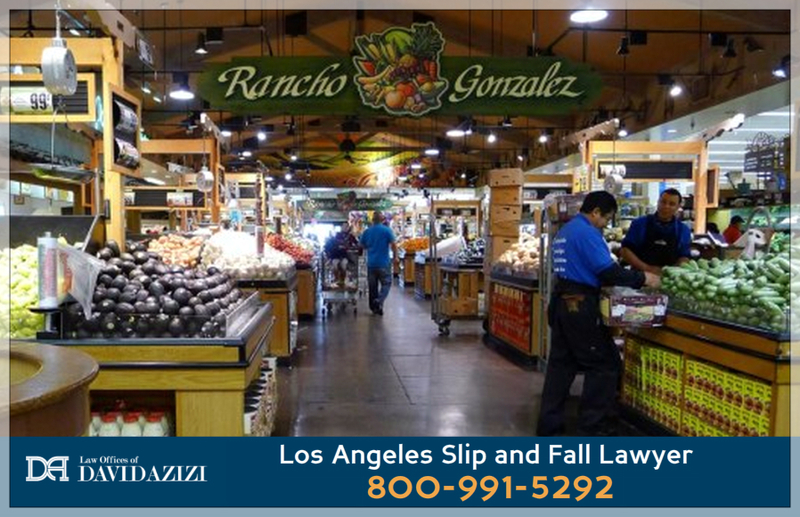 A slip and fall Los Angeles lawyer will gather evidence, testimony from witnesses and other necessary depositions for your claim. Once the case gets to court, the attorneys from both sides will chose a jury, present their arguments and call witnesses and experts. The jurisdiction of which California courts your slip and fall trial will take place in factors into the timeline. When you have received a favorable judgment, the possibility of an appeal to the case exists. Perhaps the defense might claim that the injured party has not presented enough evidence of specific injuries and they want to take the risk of trying the case again. This of course adds an element of time to the total duration of the case. Case delays can be a great source of frustration, especially in circumstances that push beyond months into years. The best strategy to avoid delay and secure the money damages you deserve requires careful consultation with an attorney who understands slip and fall law and knows how to win these types of cases. David Azizi and team have a 98 percent success rate for their clients. We will listen to your story and start immediately on your case to get the strongest outcome in the least amount of time possible. Start down this important road of recovery today. Call David at (800) 991-5292 today or fill out the form below for your free slip, trip and fall case review.